People love us. 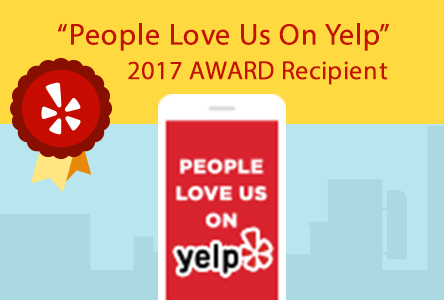 Check out all the hype on Yelp.com. So, Toni Bish is the real deal. It was by luck that I got in with her — well, maybe destiny. In a panic, I started looking at YELP because my hair was in desperate need of a color and I wanted to try ombre to cut down on the maintenance a little. I have been in ATX for 6 years and have been through 5 stylists (eek — but in all fairness, I was with one for 3 years before she had a baby and quit working). I have been dreading trying someone new but I was looking pretty scary so I called Karu since all the reviews were good. I was able to get in that day with Toni! Yay for me. Well, she killed it. Ombre/balayage (not sure the difference?! ), whatever it is, looks awesome. LOVE IT. So happy. She is also a pretty awesome person. Super easy to chat with. Really knowledgeable with products, and not just the ones they sell at the salon. I have tried a million and she knew so much about all of them. She’s a keeper. (But the selfish part of me doesn’t want it to get out and then her be crazy booked — but she deserves the recognition). After waiting entirely too long, plagued by fear and indecision, I finally bit the bullet and made an appointment at KaRu Salon. This choice was based on a lot of research and I am so excited to have found my place! I went in for highlights and a haircut, but it was more than that – a true consultation with Kari (the salon proprietor) who was so warm and lovely, listening to me talk about what I wanted to do with my badly managed color, not chastising me for using box color during my indecisive period, showing me examples of what she thought would work well for me, and giving me an amazing color re-work that won’t be super high maintenance. Then, Dionne worked her magic on the shapeless mop and, again, gave me exactly what I asked for – layers, movement and volume. I feel so fabulous and could not be happier with KaRu Salon with its talented and lovely team. I’ll try to keep this short and sweet. There’s no secret as to why KaRu has a solid five star rating. I have never left a hair salon feeling happier than I am today! I came in with a pretty bad balayage treatment on my hair (I looked like a leopard basically). Long story short, Toni Bish not only corrected my root color, she killed the ash blonde look I was going for! Plus? My hair smells like a garden. Absolutely perfection from one of the best #UnicornTribe members I’ve ever had the pleasure getting my hair did by. Toni Bish, you’re the ish. Tina has been doing my hair almost 14 years. I followed her from a previous salon and would do so again if that were ever the case. Her color is absolutely the best in town! Every single time she does my hair I walk out feeling like a runway model and get compliments on my color for months. Everyone that I have met here at Karu has always been very nice, accommodating and professional. I highly recommend! I love this place! First of all, the energy is phenomenal; you can feel it as soon as you walk in the front door. The studio is full of stylists who are not only magnificently talented, but also warm, friendly, creative, and passionately in love with their work. And I couldn’t be happier with my hair cut by Taylor! It can be hard to find someone who knows how to handle coarse, curly hair like mine, but Taylor gave my locks the TLC they so desperately needed. She stayed true to the length that I wanted and added some pretty face-framing layers in the front. And I don’t know what kind of magic she is, but my hair came out way shinier, bouncier, healthier, softer, and happier than it ever has been. Like brand new baby curls. 🙂 Not to mention the heavenly head massage. So, so good. And, as if that wasn’t enough, Kari did my color, which turned out more glorious than I could have even imagined, and now I am an enchanted creature. From start to finish it was a lovely experience, and my hair looks gorgeous. Now even strangers stop me to tell me how much they love my hair. Thank you, Taylor! Thank you, Kari! Thank you, KaRu! Huge, huge fan. KaRu is one amazing place. Not only are their stylists and colorist amazingly talented, it’s a fun, friendly, and unpretentious place. The ambiance is energetic and inviting and the decor is stylish and beautiful. And they always seem to be traveling to hair and color shows, so they keep up to date on the latest cutting and coloring techniques and trends. When I first moved to Austin, I had two (yes, two) really bad coloring jobs in a row. When I complained to a friend, she ordered me to go to Tina which I’m so glad I did and am never looking back. My color was seriously jacked up (read: brassy blonde twice over with orange-y leaking at my roots. Good times.) yet when I sat down in Tina’s chair, she didn’t even flinch despite my need for a corrective color. She got my hair back to a beautiful blonde and has been keeping it that way for the last three years. Since I’ve been going to KaRu, I’ve referred several of my friends all of whom have raved about it and I can’t imagine going anywhere else. Seriously, if you want beautiful hair, go to KaRu. Aili was amazing. I brought in a picture of what I was looking for and she exceeded my expectations. This is the first time I have ever been this satisfied with my hair after getting it done. I went from a grown out coopery color to a beautiful brown/blonde balayage. Can’t wait to visit again and go a little more blonde for summer. Even though it’s been almost a month, I still have people complimenting me on my hair color. I love my new color! I had never gotten my hair colored before, and Tina really listened and had insight on what would look best with my skin tone. Even though we hadn’t met before, I felt like we were long lost friends. She’s great! To top it off, she styled my hair in big, gorgeous curls and, once again, I left KaRu feeling beautiful. I had THE BEST haircut with Taylor last week. I have never been so pleased with a haircut in my life! And I am very picky about my hair. Taylor put in some soft layers that work perfectly with the shape of my face. You can tell she really knows what she is doing, and she was really accommodating towards my requests and feedback, too. I will certainly be back for another haircut with Taylor! Look how great my hair looks! Color by the very talented Kari, also at KaRu. First off – I’m just super happy already that they have online booking!! Who calls to make a hair appointment in the middle of the day in an open office environment? Awkward. I booked an ombré with Toni Bish who is super passionate and knowledgable about her work. She helped me narrow down from a bunch of saved hairstyle pins on Pinterest and what would look good with my skin tone. She automatically made me feel super comfortable and while I usually keep quiet during haircuts, we kept up a steady stream of convo going. Also, I’m pretty much blind without my glasses and it’s hard to trust hairstylists without seeing anything until the final product. Toni understood this and kept up the excited tone throughout the entire appt. I am so hooked after my first color and I will definitely go back soon! After Innu closed I searched for a comfortable professional salon and found it at Karu. Tina is a great colorist and super friendly. Worth the money. Luckily for me, Dionne is AMAZING and my hair is perfect. I am also growing out my hair and she is really understanding of this transition. I cannot believe I found my new stylist in the first try!! This salon is welcoming and every stylist I have seen is attentive and kind to their clients. This review is so LONG overdue!!! I can’t say enough great things about this amazingly awesome Salon!! I have been seeing Toni for a few months now and she is INCREDIBLE!!! I always leave the salon looking fab! My expectations are always exceeded. Besides Toni’s amazing talent, she is also incredibly sweet! I’m so glad I found her and this salon! The receptionist is also WONDERFUL! Very sweet and helpful!! Love love love this salon!!!!!! Book your appointment now! You won’t be disappointed!!!! IF YOU HAVE CURLS – THIS PLACE CAN MAKE THEM AWESOME! DIONNE might be new to the salon, but she clearly has loads of curly hair experience. It was also my first time visiting the salon in general and she made the visit great (so did Ai (sp? ), the receptionist, who got me a fork so I could eat my lunch while in the chair). Anyway, I have wavy-curly hair. Some of it is even straight. I lovingly call it “the lion’s mane.” As in it is seemingly untameable. For a few of years I have experimented with different hairstyles, mainly ones that involved straight hair. All of the styles I tried were great for long straight hair, but required me actually straightening all of my hair to actually show the style off. Recently, a little over a year or so, I have desired a move towards my more naturally curly hair. This has been difficult. Most stylist want to keep all of the layers long and want to cut it while it’s wet and not styled in curls – thus, triangle head. :/ Curly haired girls, you know exactly what this dreaded cut looks like and none of us like it. Not Dionne! She gets it! She did an initial cut when I came in to give the general shape needed for my type of curls and what I asked for – please don’t cut it too short, I so like length. Then, after washing my hair and letting it curl into it’s natural state, she trimmed it a little further for extra detail. I already have another appointment for August to get a trim before I go on a long over due vacation. Kari is, by far, the best colorist in town. I have had some of the top colorists in NYC and San Francisco color my hair and Kari has consistently done an outstanding job. I’ve been to many other salons in Austin, but didn’t get the quality, attention to detail and exactly what I wanted until I found KaRu Salon. I have long blonde hair and my highlights have gotten tons of compliments. The salon is adorably decorated, clean and has a great location in central Austin with plenty of covered parking. For those who want gorgeous color, Kari is the best! I was originally scheduled for a coloring with Kari but she ended up sick the day I was supposed to go in–in addition to simply rescheduling, they set me up with a complimentary hair cut with Taylor! She really listens to what you want and she definitely gave me the best, most flattering cut I’ve ever had. You get to choose your shampoo scent (I had the options of lemongrass, lavender, and peppermint), and a hot towel under your neck while they wash so it’s very comfortable. Their prices are completely reasonable, and the salon is cute to boot! Very vintage and eclectic, all good vibes when you walk in. Their customer service is wonderful and they really care about their clients. Got my hair done here by Toni a couple weeks ago. She did an amazing job, I couldn’t be happier with my hair!! The salon is gorgeous and very professional. I couldn’t have been happier with my experience here!! I am now dedicated to KaRu Salon, a lifer! This salon is very warm and welcoming. When you walk in the door everybody on staff was smiling and you could tell they really enjoyed being there. You feel like part of their family when you are there. I highly recommend this place. KaRu is by far the best hair salon in Austin and all of the credit is due to the incredibly talented and gifted owners, Rudolph and Kari Leon-Guerrero. Rudolph is a master stylist and has probably influenced or trained many of the top stylists in Austin. To call Kari just a colorist would be doing her an injustice. She is an artist. I visited Karu Salon for the first time and I was delighted with the atmosphere. It was extremely classy but not pretentious. I felt instantly at home and the moment I walked in I was greeted with smiles. Tina does my color, and is hands down one of the most beautiful women alive… As soon as you walk in you feel like home, welcomed with smiles and open arms, and it’s a wonderful place to natter amongst everyone, and know you’re getting a classy cut. If you live in austin and need to get highlights, color, whatever that has to do with changing your hair color, you have to go to TINA at KARU SALON. TINA IS THE BEST COLOREST IN AUSTIN, TEXAS. Her resume as a colorist is outstanding including working in new york as a PERSONAL COLORIST FOR CELEBRITIES!